Here at Halliday we love our Riesling, both for the value and versatility it presents. The you, zesty numbers are great warm weather refreshers, and those with a little residual sugar are our go-to for Asian BYO. There are late-picked and botrytis Rieslings to satisfy the sweet fiends among us, and aged Rieslings make a good match for full flavored cheese. Riesling really is an all-rounder, and you can find top-rated bottles for an absolute steal. 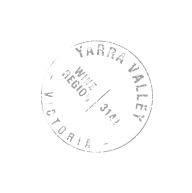 The grapes come from Wyjup Vineyard, 40km south of Mount Barker. A classic wine, and ever reliable; it has a particular delicacy, yet has pure lime juice flavors, purity heightened by the natural acidity. Good now, even better in 5+ years. Great value. 12% alc.